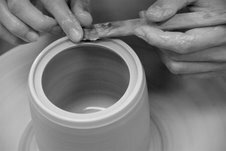 Amy Handmade Ceramics: I am on Craftholic !! I am on the new "Craftholic", u can get a copy at art venue e.g. MAAD, Art Friends, etc. It is the first issue and the interview just cannot be better. And she even helped mentioning HRSS for rabbit adoption!!! Grab a copy & read something abt me! p.s. 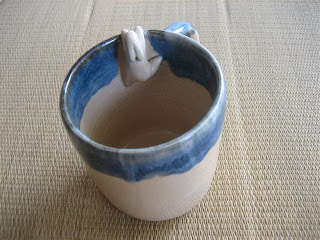 have made some more rabbit mugs, they are so cute, but all gone already. In case you like to have one, pls email me for advance order, I will inform you when I have new mugs ready.